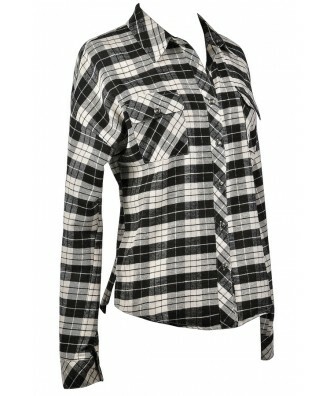 Whether you are channeling your favorite early 90s grunge band or just want a cute and cozy top with a laid-back rustic feel to it, this plaid flannel button up has got the look you want! 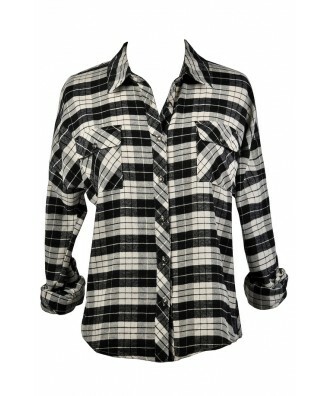 The By The Bonfire Plaid Flannel Top is made of a comfy 100% cotton fabric. It has a collar, two front pocket, and a button front. 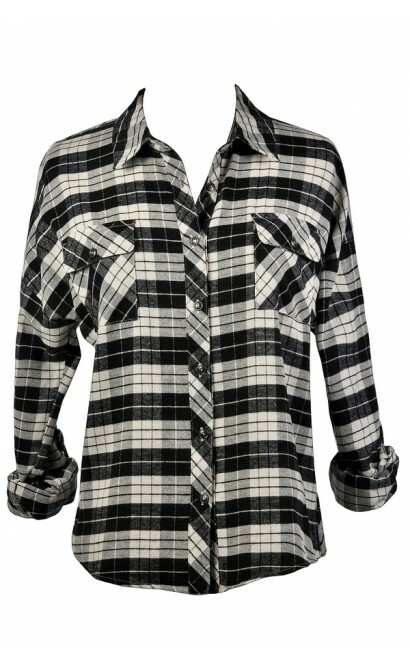 The sleeves can be worn long or rolled up. This top pairs well with denim or leggings. 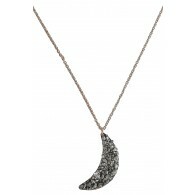 It is perfect to wear over a fitted tank or graphic tee. Details: 100% cotton. Hand wash cold. Do not bleach. Line dry. Iron low if needed. 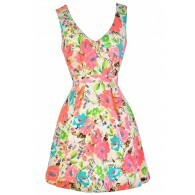 Small measurements: Length from top of shoulder to hemline: 22.5- 27". 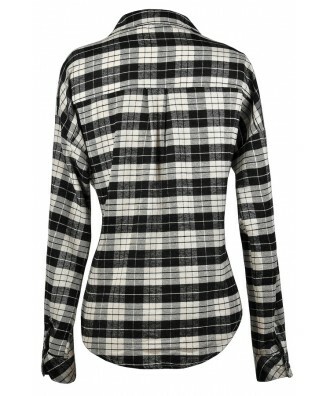 You have added By The Bonfire Plaid Flannel Top in Off White/Black into Wishlist. 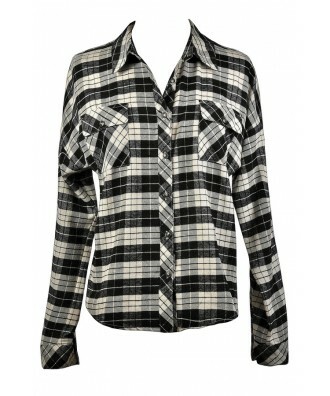 You have added By The Bonfire Plaid Flannel Top in Off White/Black for Stock Notification. 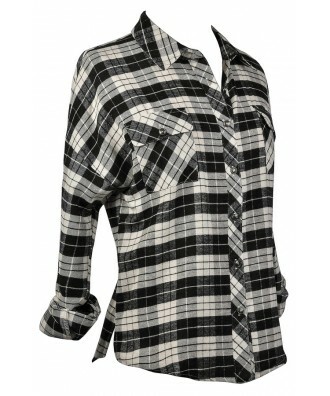 You have set By The Bonfire Plaid Flannel Top in Off White/Black as a loved product. 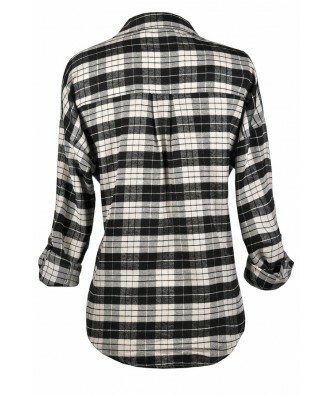 You have removed By The Bonfire Plaid Flannel Top in Off White/Black as a loved product.